Where next for casino games? Casinos are home to some of the most popular games that have ever existed. Roulette and blackjack are played all over the world, and have been around for over a hundred years. 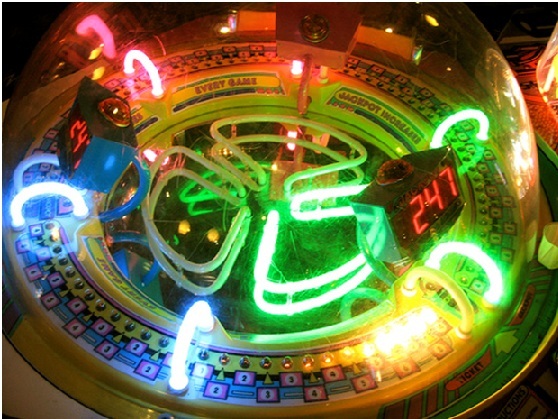 Slot machines are everywhere, in one shape or form, and are perhaps the game that has evolved the most over the years. With the advent of online casinos, casino games had to innovate to keep up with the technology available and attract players. As technology moves on rapidly, what can gamers expect to see happen to their favourite games next? Slot machines are a prime example of how casino games move with the times. It all started with the liberty bell, a 3 reel slot machine where players pulled a lever on the side. The aim was to spin in a line of matching symbols. The aim is still the same now, but many other aspects have been added over time. Now players can play machines that have up to six reels, and there are endless bonus and free spins features. Each machine has its own theme, and they are based on TV shows and films, designed to appeal to as many different audiences as possible. Slot machines have advanced so much to keep players interested, and because technology has made new things possible. Online casinos tend to have a wide array of slot machines to attract different audiences, but there are other ways that they try to get the edge over their rivals. Some sites are now offering links to a live casino where they can play roulette, blackjack and other games, based in a real casino with real dealers. Instead of having to walk around the casino floor to find the game they want to play, they can easily choose between tables with a few clicks of the mouse. As well as these live links, some sites are also offering different ways to play the classic games like roulette and blackjack. There are now multi-wheel and multi-hand forms of the two, along with speed games and other twists. The need to freshen up and add alternatives to such famous games just goes to show how fierce the competition is between online sites. It's this rivalry, and battle for supremacy that spells more innovation for casino games on the horizon. This year, virtual reality is set to hit the mainstream, and although the virtual reality headsets will most certainly take a while to become popular, online casinos will be thinking of ways in which they can exploit this new technology. The live links to casinos already give players the thrill of playing at a real casino table, but with virtual reality players may be able to slip on the headset and feel as though they are actually in the casino. And how could slot machines incorporate the technology? Maybe players will have the opportunity to go into some kind of virtual bonus game. With the rapidly advancing technology available to casinos, players can be sure that their favourite games will be getting some exciting upgrades very soon.